Secaucus, N.J. – March 31, 2012 – Vatech America, Inc., a leading supplier of dental digital radiography and conebeam ct equipment, software, and services announces today that it has received FDA approval for the highly anticipated PaX-i line of Digital X-Ray Systems adding to its already robust portfolio. The PaX-i from Vatech offers Orthodontic Specialists an ideal solution for a dedicated 2 Sensor Pan + Ceph unit by combining over 18 panoramic programs to include extra-oral Bitewings and 5 Cephalometric programs all in one unit. The “i” in PaX-i stands for innovation, which signifies the 10-years of accumulated experience of VATECH in the field of integrated dental diagnostic imaging equipment innovation. The all new PaX-i line carries on that tradition by offering two types of Cephalometric Imaging options, the SC scanning type and the OP one-shot panel type versions. The PaX-i is the world’s first unit to apply a highly sensitive Flat Panel X-ray Detector (FPXD sensor) to its One-shot panel Ceph imaging unit to render superior image quality with the shortest X-ray exposure time (0.9 seconds) in an effort to reduce radiation dose and eliminate motion artifact from patient movement. This product is optimized for the dental diagnostic imaging needs of Orthodontists, as well as of general dental practitioners. Its compact size and lightweight design features a small foot print. 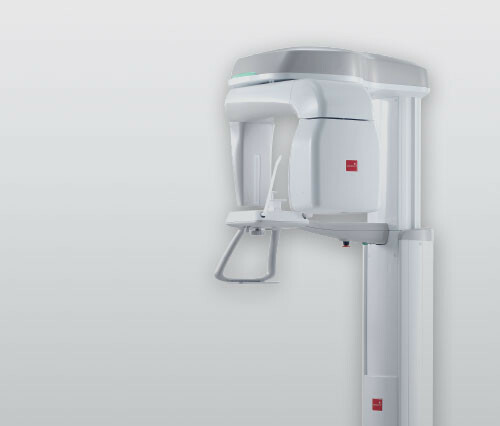 Simple installation will be appreciated by both dentists and dealers. The PaX-i is developed from sensors to software entirely by VATECH through innovative technological know-how. Now with the launch of PaX-i VATECH aims to expand accessibility of ‘digital’ imaging devices worldwide, through this affordable and easily accessible diagnostic X-ray imaging equipment. Competitive introductory pricing makes this the most practical choice for the value conscious practitioner. Vatech America’s President of Operations Mr. JH Kim states that Vatech will begin selling the product immediately through authorized dealers with an official launch date set for May 5, 2012 to coincide with this years American Association of Orthodontics Exhibition and Meeting (AAO 2012) in Honolulu, HI. The PaX-i and other Vatech America products are available for purchase through authorized dealers nationwide. Contact your local Vatech District Sales Manager with any questions.